NVLD-Non Verbal Learning Disability- all I can say is wow! Is your child struggling with pragmatics and other issues, but you just can’t find what fits?I learned so much at a presentation I went to today. It’s not what you think it is! I thought it meant that the child was non-verbal. So many parents said that when they learned their child has NVLD and read about it, lingering questions had finally been answered. 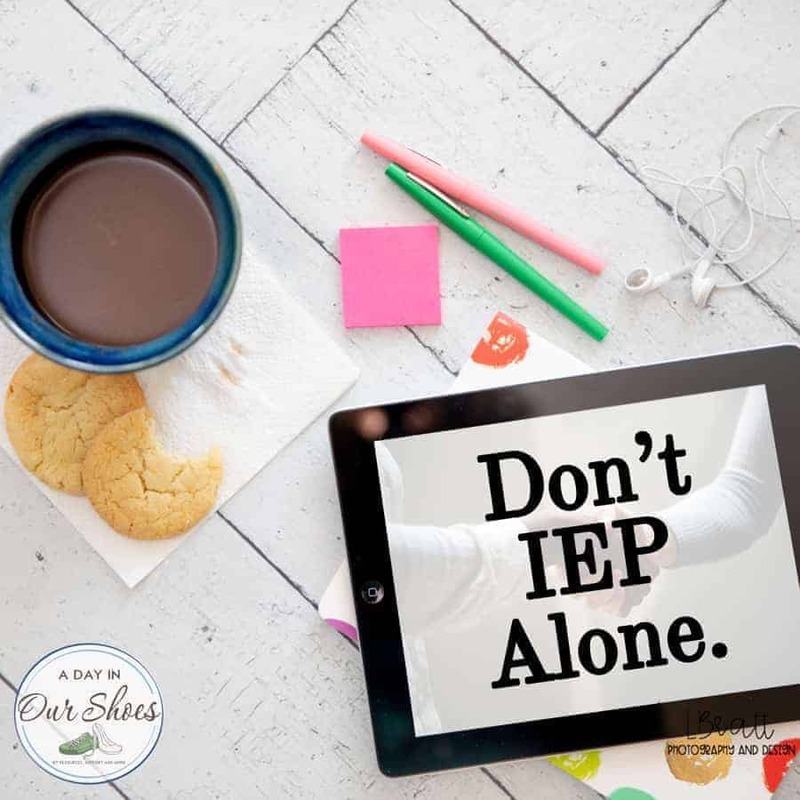 Read on to learn what NVLD is, NVLD symptoms plus NVLD learning and IEP accommodations. What is NVLD Non Verbal Learning Disability? Our presenter stated that Non Verbal Learning Disability (I’ll call it NVLD from now on) is more common and can be more dangerous than I realized. I also did not realize that it is not in the DSM (unfortunately). There is an effort underway to get it in the next DSM, and also to create more awareness around NVLD. So, assisting in that effort to create awareness, I decided to post what I have learned. First, the biggest misconception of the term “non verbal learning disability.” Every parent there today who has a child with NVLD, has said that on many occasions, people say, “Oh so your child does not talk?” Quite the opposite! NVLDers talk all the time, too much in fact. The term means that the learning disability is NOT verbal. Think of it as a “NOT verbal learning disability.” They are verbal, what they struggle with is all the other stuff. The main reason I wanted to share this information, is because undiagnosed and untreated, NVLD can be dangerous and sad. Generally as a younger child, kids can hold it together and their extreme talking masks their real issues. But as academic and social demands change and intensify, the situation can quickly deteriorate. Kids with NVLD have a very high rate of depression and can become suicidal and violent. NVLD is often is misdiagnosed as Aspergers or ADHD because some of the manifestations are the same. If your child has one of those diagnoses and perhaps they still are not making progress or that diagnosis just doesn’t really fit in your opinion, you may want to pursue this. If untreated and unsupported, it can lead to extreme isolation, depression and violence. So here is an overview of NVLD, how it manifests, how it is diagnosed and some strategies. Remember, these kids are HIGHLY VERBAL, to the point of being repetitive and boring. But their high verbal skills mask many other issues. Boys and girls present with clinical signs of anxiety, depression and attentional problems. Difficulty in remembering how to get from room to room in school, may become easily lost. Their speech has little rhythm or variation in tone and inflection; long, windy monologues are not uncommon (Gregg & Jackson, 1989) and what they talk about may seem boring. Does any of the above sound familiar to you? It is not at all uncommon for these kids to be labeled as Autism, Aspergers or ADHD. These kids also struggle with pragmatics and pragmatic language skills. Autism and NVLD-misdiagnoses and other issues. One explanation for relatively superficial semantic knowledge is the over-reliance that these children apparently place on learning through auditory and verbal means. Perhaps many of the words of the child with NVLD are “fast mapped” rather than fully understood. Speakers with NVLD often are characterized as verbose. Other examples of pragmatic difficulties that may occur include frequent use of stereotyped expressions such as “by the way” or “actually,” an inability to read or use facial expressions or tone of voice, difficulties in using facial expression and gestures to express feelings, problems with appropriate speech prosody resulting in a lack of affective modulation in language, and abrupt topic shifts. In terms of assessment, if anecdotal accounts of the language deficits associated with NVLD are correct, then pragmatic language skills present the greatest problem. In addition, many of the instruments that have been developed (e.g., the Test of Pragmatic Skills, etc.) quantify pragmatic skill in relation to developmental norms rather than focusing on qualitative abnormalities in communication. In order to evaluate pragmatic features of the sort that are reported to typify the population with NLD (e.g., verbosity, inappropriate content, etc. ), it’s important to assess behaviors that are difficult to elicit in test situations and that may be rare, but salient, in occurrence. Dorothy Bishop has developed such a tool. She calls it the Children’s Communication Checklist. Diagnostic criteria for NLD have historically included lower visuo-spatial reasoning compared to verbal reasoning. Have your child use the computer at school and at home for schoolwork. Help your child learn organizational and time management skills. Make use of your child’s verbal skills to help with social interactions and non-verbal experiences. For example, giving a verbal explanation of visual material. Teach your child about non-verbal communication (facial expressions, gestures, etc.). Help them learn how to tell from others’ reactions whether they are communicating well. Help your child out in group activities. The student with NLD, however, cannot avoid the need to put ideas into a written format. The role of the special educator at this point is to put a structure in place for the child so that he or she can see that written discourse can closely parallel verbal thought. The intervention strategy for written language begins by verbalizing and outlining what the final product will look like. The special educator begins by teaching the components of a sentence, a paragraph and then an essay. At times, using a math-like algorithm, a topic sentence + specific supporting details + a concluding sentence = a paragraph. It is important to allow the student with NVLD to understand the structure first so that, following this structure, a response can be formulated mentally. Suggested strategies include teaching, then re-teaching; getting the child to explain things back in his own words; and requiring the use of words different from the ones used in the initial explanation. These strategies will push the child to process and hold on to the information that has been presented rather than to offer rote repetition. Morphology which deals with with inflectional word marking is also adequate. Syntax including the formation of complete sentences and the use of various sentence types is described as age appropriate. IT APPEARS THAT LANGUAGE STRUCTURE IS NOT AN AREA OF DYSFUNCTION FOR THESE CHILDREN. If you wish to reach Sherry for Special Education Advocacy in the metro Philadelphia area, you can email her at ConcerningEducation@gmail.com. « The Hidden Costs of Parenting a Disabled Child.